Because we are overly influenced by a popular religious culture that is often at odds with Holy Tradition, the patristic teaching on almsgiving and our obligation we have not simply to the poor but their obligation to those who assist them, is scandalous. Shaped as we are, almost unconsciously, by contemporary Evangelical Christian preaching on “salvation by faith alone,” St Cyprian of Carthage teaching, that “prayer alone is ‘fruitless’ and ‘ineffectual’ unless it is accompanied by almsgiving” is shocking. And yet, this is in harmony with the whole biblical and the patristic inheritance—East and West, Greek, Latin, and Syriac. “Only prayers with almsgiving ‘quickly ascend to God which the merits of our labors urge upon God’” (Helen Rhee, Loving the Poor, Saving the Rich: Wealth, Poverty, and Early Christian Formation). In his second epistle, St Clement of Rome (130-160 AD) goes so far as to say that “Almsgiving, therefore is a good thing, even as repentance from sin” and while “Fasting is better than prayer, … almsgiving better than both” (16.4). Salvation for the Fathers requires almsgiving. This is why our Lord calls the rich man in the Gospel a fool. He stored up his great wealth, not in the strongbox of the poor, to use a popular patristic image, but in large barns built by his own hands. The rich man was not condemned for being rich but for being foolish and neglecting his responsibilities to the poor. For the fathers of the Church, when we give alms, we lay up treasures for ourselves in heaven and become “rich toward God.”There is another dimension to the Church’s teaching about philanthropy that we also neglect. 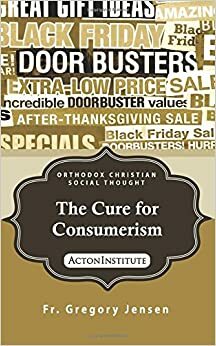 Just as our popular religious culture fails to see that care for the poor is essential for salvation, our popular secular culture fails to see that the poor themselves are also obligated to give alms. There is another dimension to the Church’s teaching about philanthropy that we also neglect. Just as our popular religious culture fails to see that care for the poor is essential for salvation, our popular secular culture fails to see that the poor themselves are also obligated to give alms. St John Chrysostom makes a distinction between “beggars” (ptōchoi) and what today we call the working poor (penētes). For the latter, Christian philanthropy is at the service of the autonomy and economic independence of the poor so that they can meet their obligations. The principal here is clear. Our assistance to others must not undermine their freedom, responsibility, and creativity (i.e., the ability to work). Anything that does so, however well-meaning, is morally wrong and must be avoided. And so, if they can, the poor are expected to work as a condition for their receiving alms (see, 2 Thessalonians 3:10). But even those physically incapable of work (ptōchoi) were expected by Chrysostom to ease the suffering of others. Obviously, since they don’t have any they can’t do this by giving money. But they can do so by their prayers and consoling words. Above all, they can say thank you and pray for their benefactors. All Christians—rich or poor, male or female, young or old—are obligated to relieve the suffering of others. And how could it be otherwise? All are called by Christ, “to love your neighbor as ourselves” (see Mark 12:31) and to “do good even to those who persecute you” (see Matthew 5:44). For the fathers, almsgiving is the primary, though not the exclusive, goal of all human labor. I don’t work just for myself but for others—for their flourishing and for their salvation. My first obligation is to my family. Or, as the Apostle Paul says, “But if anyone does not provide for his own, and especially for those of his household, he has denied the faith and is worse than an unbeliever” (1 Timothy 5:8, NKJV). But after seeing that they are cared for I must care for the poor. But caring for the poor means different things depending on circumstance. For example, the business owner who provides jobs is fulfilling his obligation to use his wealth on behalf of the working poor just as much as those who care for the beggars who can’t work. And again, just as the wealthy are to be generous in their care for the poor, the poor must respond with gratitude for the help they are given and are obligated to remember in prayer their benefactors whether they are the recipient of direct assistance or gainful employment. You might be asking how have we lost touch with the wider and deeper understanding of almsgiving? As I suggested above, it is because we often take our cues from the surrounding culture—religious as much as secular—rather than the Scriptures and the fathers. As a result, we are unclear what it means to be a “new creation” (Galatians 6:15, NKJV) and that our glory is not in the praise of the World but “in the cross of our Lord Jesus Christ, by whom the world has been crucified to me, and I to the world” (v. 14). When I glory in anything other than “Christ and Him crucified” (1 Corinthians 2:2, NJKV), I’m blind to the great abundance of gifts God pours out on His Church. As a result, my vision of the Christian life and the ministry of the Church–to say nothing on my own spiritual life–becomes narrowed and cramped. no longer be children, tossed to and fro and carried about with every wind of doctrine, by the trickery of men, in the cunning craftiness of deceitful plotting, but, speaking the truth in love, may grow up in all things into Him who is the head—Christ—from whom the whole body, joined and knit together by what every joint supplies, according to the effective working by which every part does its share, causes growth of the body for the edifying of itself in love. Let us take seriously the faith we have received and care for the poor and embrace all the gifts and ministries that God has given His Church, given us!